Efficient and essential kitchen plumbing design starts with advanced water and energy saving technology. The kitchen design may be a high-end design or humble and minimalistic, but they should all be resource-friendly. As the art and technology of cooking and processing foods has grown and spread throughout the country, the demands for kitchens to do more has also increased. This has had an impact on the core design of the kitchen from kitchen sink cabinet combos to the arrangement of counter space to facilitate meal preparations. Today’s modern kitchens are often open spaces that communicate with the dining room and other common spaces so that someone can work on food preparation without feeling cut off from friends and family. Food prep and plumbing go hand in hand, but Benjamin Franklin Plumbing takes it a step further with a deep expertise and industry leadership on new products, and design and trends that can make an amazing difference to the aesthetics and functionality of your kitchen – without you having to sell the farm to afford upgrading. Family health. We most often go to the kitchen to get drinking water, even if it is bottled. A water filtration system under the kitchen sink means healthy water is easily accessible at all times to every member of the family. Although water purity has been debated, under sink carbon based (point-of-use) tap water filters are highly regarded health-wise, and are considered superior to both tap water and bottled water. A kitchen water filtration system removes chlorine and heavy metals like lead and mercury and other impurities. Unfiltered tap water can be affected by the time it remains between the treatment plant and your faucet. It can promote microbial regrowth. It also contains chlorine which can combine with organic compounds and possibly alter the taste of foods it is used in. Each year, 80% of the filtered water bottles end up in landfill even though recycling programs exist. When you include a water filtration system to your kitchen sink design you are starting off on a solid foundation. Benjamin Franklin Plumbing can show you several excellent under sink water filtration systems that are highly efficient, cost-effective and easily maintained. Sink proportions. Going with a single or double sink is a matter of preference. While double stainless steel sinks have been popular for some time, large composite-material single sinks have become popular for their aesthetics and simplicity. The advantage of a large single sink is that it can hold very large pots and pans and virtually all of the dinner dishes and glasses as they are rinsed before placing in the dishwasher. Even though a large sink takes away from counter space, it is generally a good tradeoff. Sink placement in cabinet. The sink should be set and sealed within the counter so that splashed water will not eventually leak through to the under-sink cabinet space. A thick rolling lip on a composited sink helps keep the water inside the sink and places the seam well outside the splash zone. They should be arched high enough to be out of the way of sink operations. A good sink/cabinet design sets the sink deep enough so that water spray from the faucet stays within the sink and does not splash over the counter or in quantity onto the splash guard behind the faucets. Even the largest kitchens should be built with space economy, otherwise the cook has to move too far between tasks. Soap dispensers that are built into the countertop near the faucet and that activate with your hand under the spout will quickly make you glad you included them in your design. Efficient shelving space inside the cabinet. Money spent on making storage efficient and easily accessible always pays off in the daily chores done in the kitchen. Under the sink, cabinets should be able to be pulled out and have a turntable feature so you can pack more necessities and keep them compartmentalized. This should always be designed in coordination with a plumber, which is why Benjamin Franklin Plumbing is your premier plumbing resource. We think with the overall design of the cabinets and plumbing fixtures so that pipe and cabling can be easily routed and points of repair and maintenance are easily accessible. Often in the past, kitchen remodeling included the plumber as an afterthought. This was usually because the plumber was simply there to put in the necessary plumbing after the cabinets were in place and the kitchen sink was installed into the counter. Benjamin Franklin Plumbing is a new generation of plumber that is an industry leader in plumbing and design integration. We know the technology that is available. We have seen and used and installed all the modern high-tech fixtures and features available. We have strong ties to the fixture manufacturers. We think in terms of aesthetics, functionality and cost effectiveness. We know how to take your kitchen remodeling dreams and make them happen in a spectacular way. We don’t dictate, we listen carefully and we can discuss with your possibilities and potentials that can bring out the best of your kitchen without going over your budget. When you search for a kitchen sink installation near me and see Benjamin Franklin Plumbing, you are in luck – we are known for our quality work, and affordable rates. 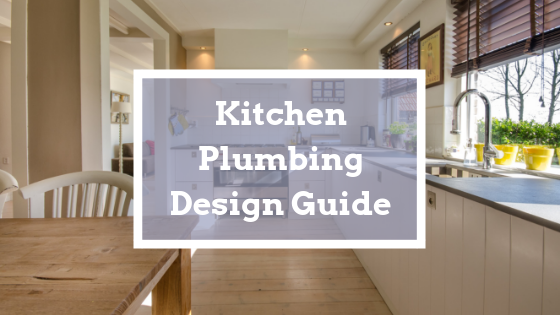 Frankly, we love kitchen plumbing design because we’ve teamed up with so many great customers, and working as a team, created spectacular results.